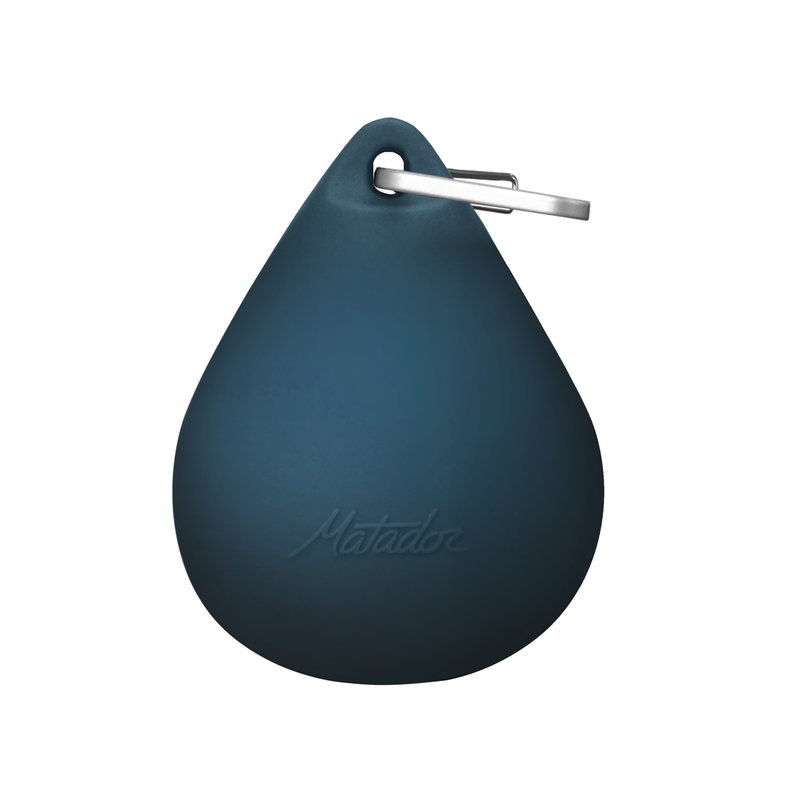 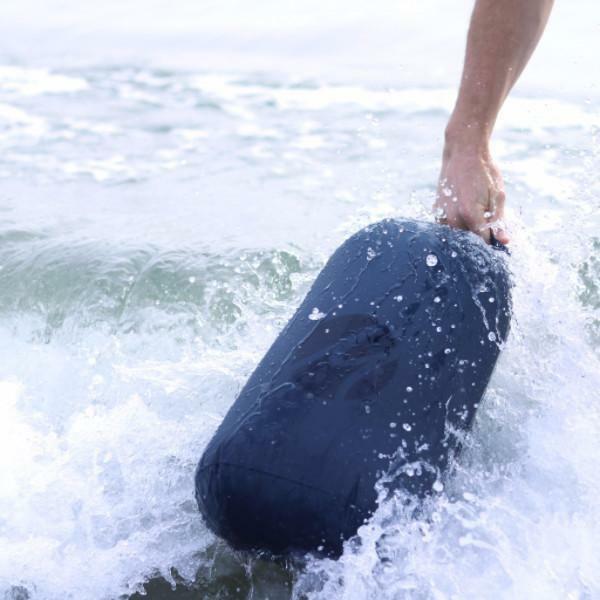 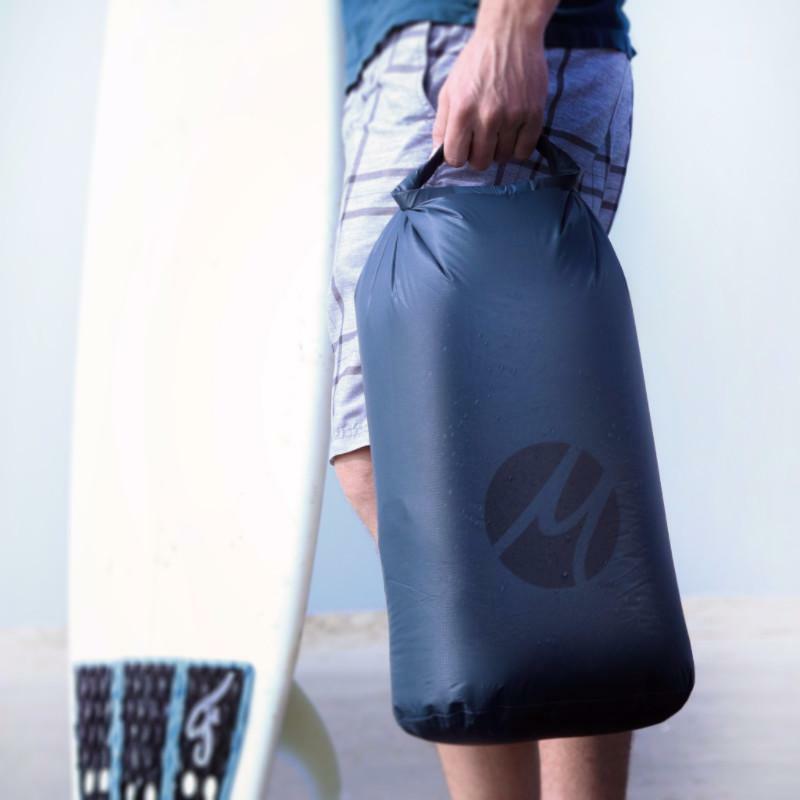 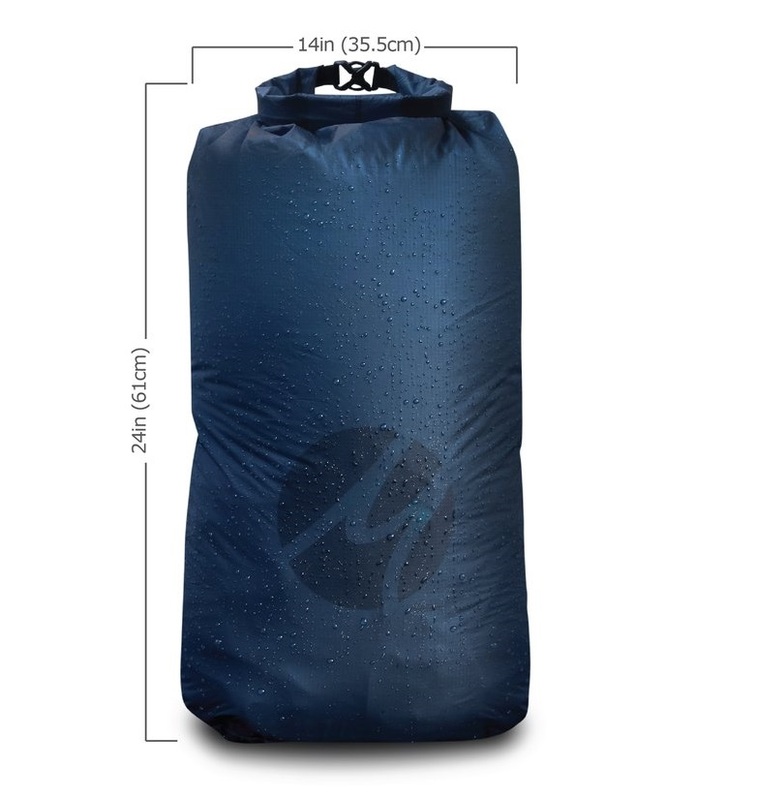 Matador Droplet XL is a serious ultralight dry bag built from 100% waterproof material. 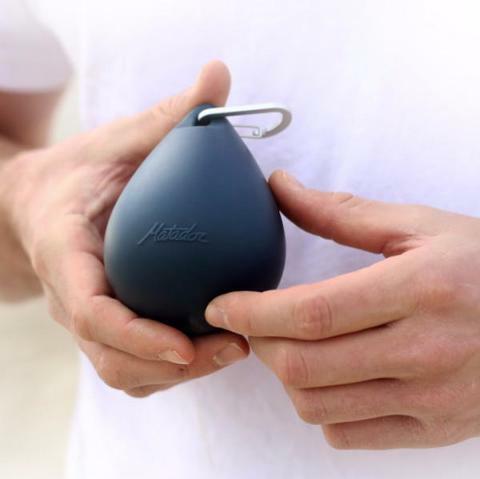 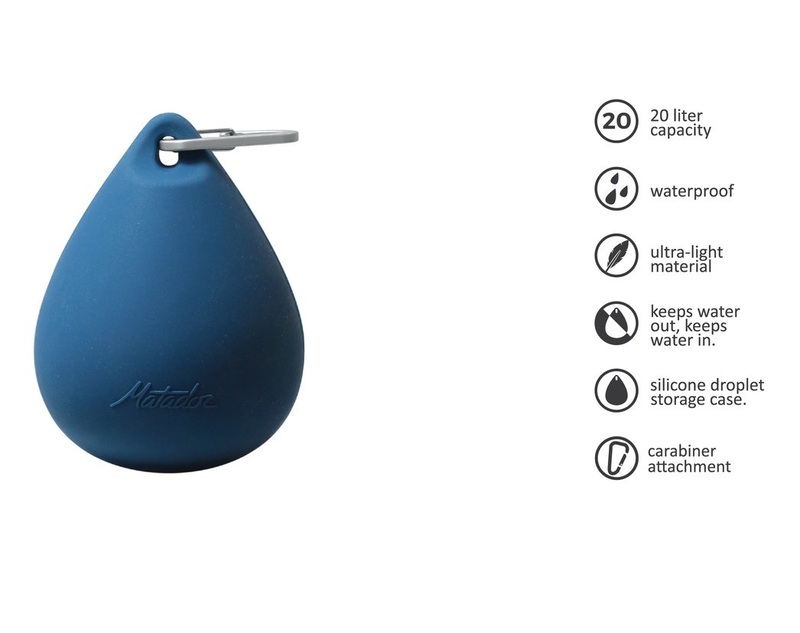 Droplet XL comes with an absurdly awesome silicone droplet storage case and aluminum carabiner. 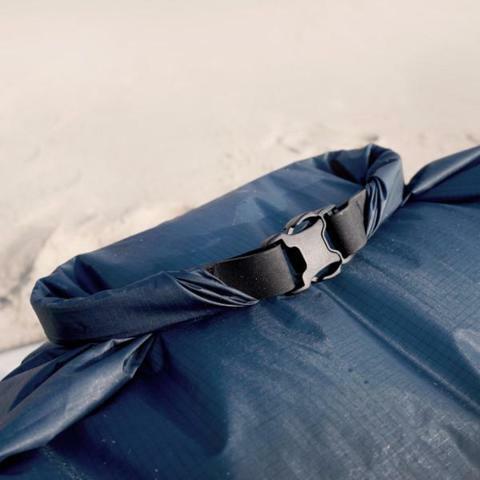 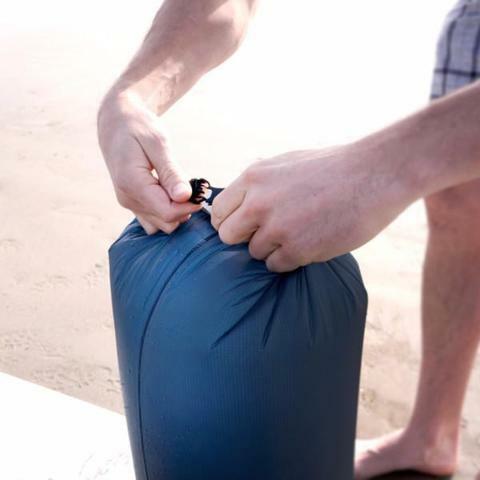 Clip it on your beach bag, tether to your kayak, or pack it along on treks. Perfect for keeping any gear dry, or storing a wetsuit after surfing. 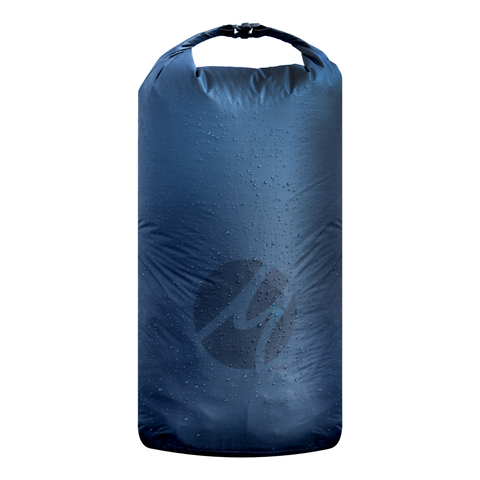 The 20 Liter capacity fits lots of gear, but still packs down to fit in the palm of your hand.